I’m delighted to announce that my publisher is now distributing paperbacks in Australia. 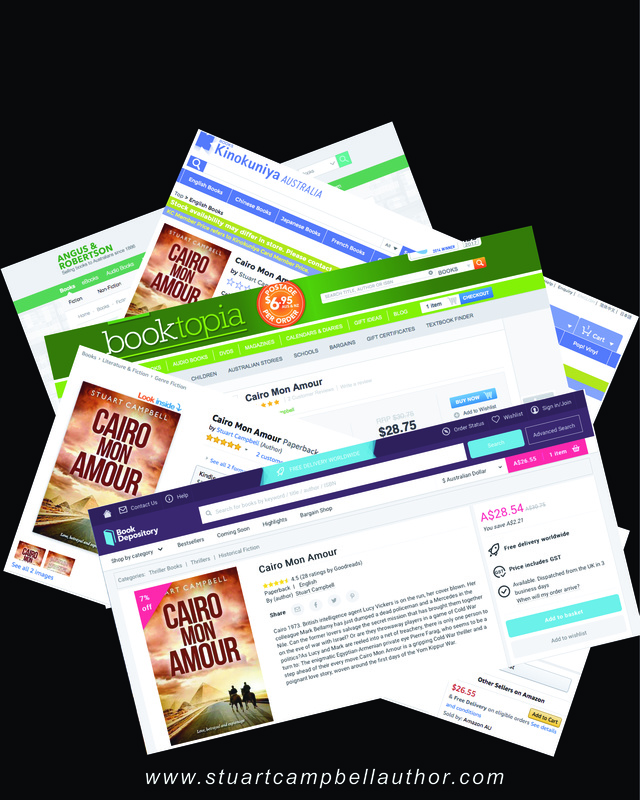 You can order Cairo Mon Amour online at the retailers below. The really good news is that you pay local freight rather than copping a big postage bill from the UK!